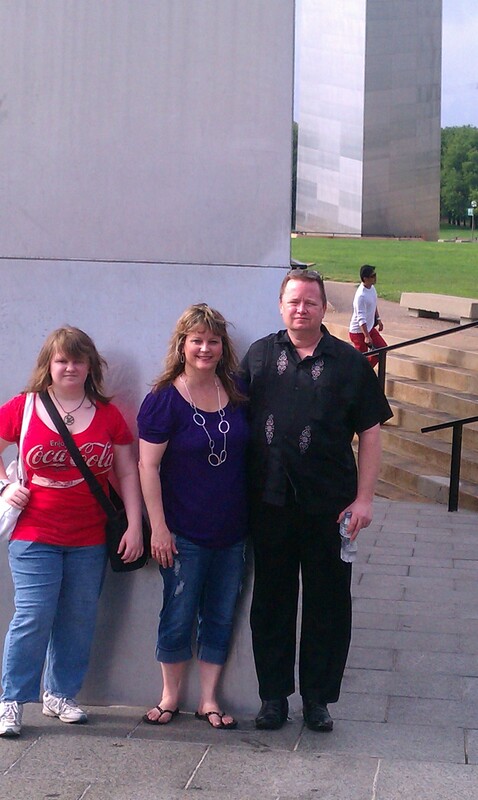 Recently Ray, Leah, Heather, her daughters Annabelle and Violet, and I traveled to Saint Louis, MO, for a mini-vacation. 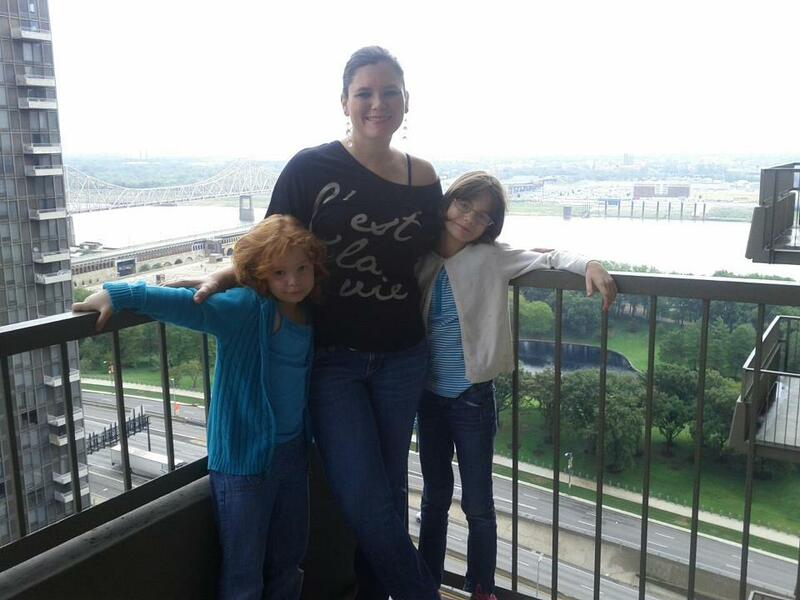 I had been up the Saint Louis arch, but my family never had, and I wanted them to have the exciting opportunity. This trip was also Heather’s birthday treat. We have been in a severe drought here in Missouri. It hadn’t rained in months. The grass was withered and yellow, and the leaves on the trees had died. But the week of our trip to Saint Louis, of course Hurricane Isaac hit the U.S., causing flooding in Louisiana, but bringing much-needed rain relief to the mid-west. 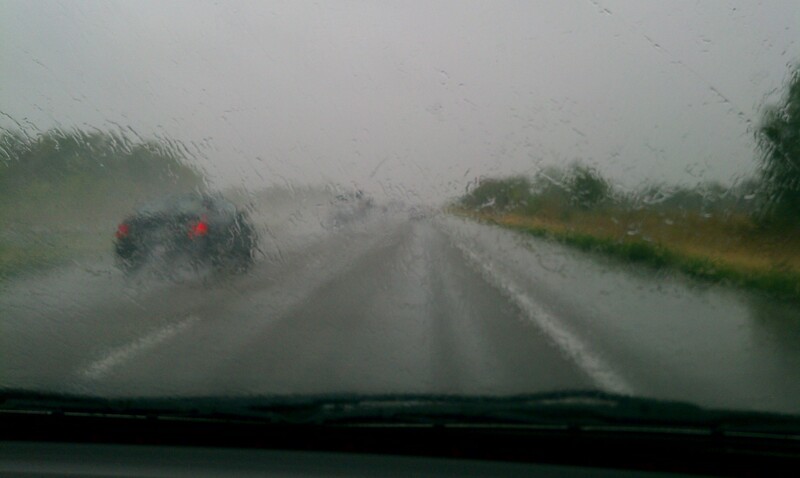 All the way to Saint Louis, it rained cats and dogs. I couldn’t believe it! Now God answers my prayers for rain, I thought. Our daughter Heather is nearly as perfect child as a parent can have, but she has one bad habit: a lead foot. She’s also like me, a take-charge personality (i.e., she is a control freak!). As we started out on the highway, she immediately called us on the cell phone: “I want to be in front,” she said. “Why?” I asked petulantly (I was driving). “I just do. I’d like to lead,” she said. “Whatever,” I said and hung up. I had just told Ray a few minutes before that Heather was going to try to get ahead of us. She has to drive fast, she wants to be in charge, and she is very competitive, wanting to “beat” others first. I didn’t want us to drive fast because of the rain. A couple of times I called Heather and yelled, “SLOW DOWN! This is not a race and we have kids in the car!” Heather doesn’t drive 85 mph, but let’s just say she loosely interprets the speed limit as a suggestion, rather than as a law. 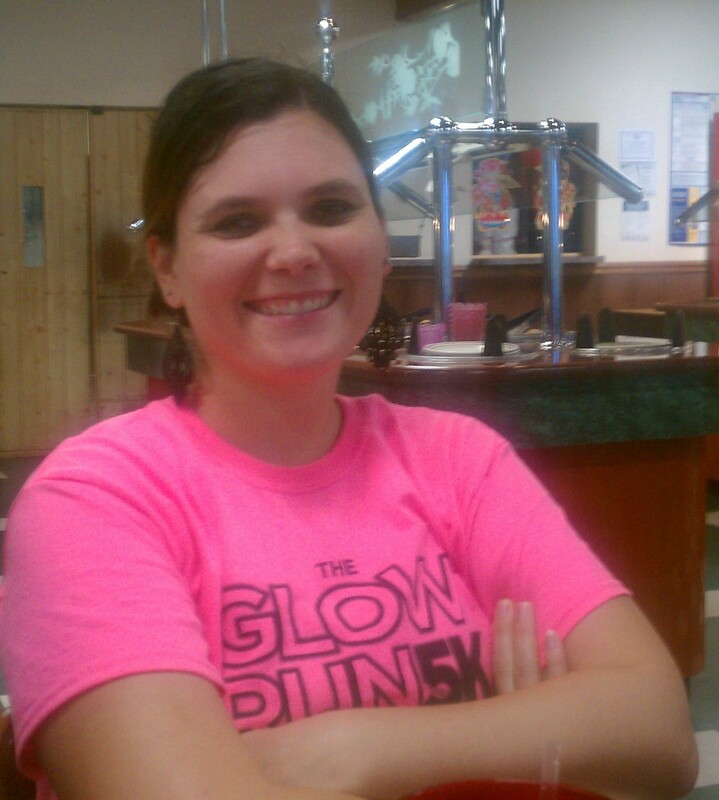 We stopped half-way for dinner at a Chinese restaurant, where they had a buffet. 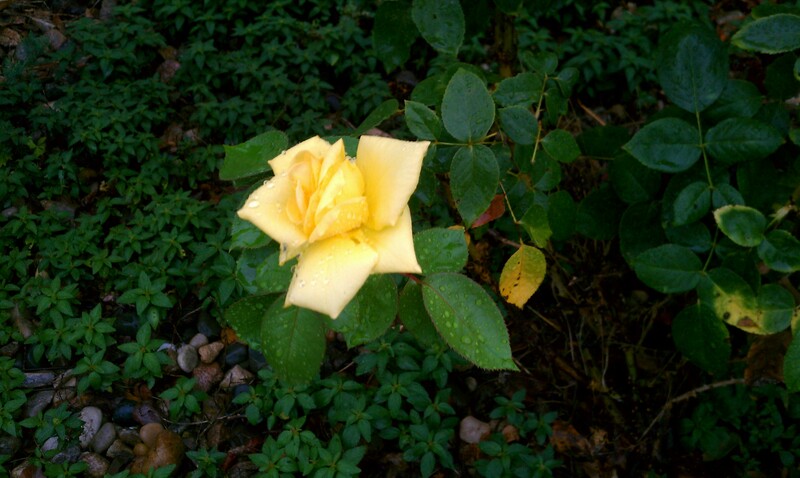 Outside the restaurant there were beautiful yellow rose bushes. Roses are my favorite flower, especially long-stemmed red roses. But these roses reminded me of the movie Sweet Dreams that I’ve watched over and over again – the life story of country singer Patsy Cline, who died tragically in an airplane crash in the prime of her career. 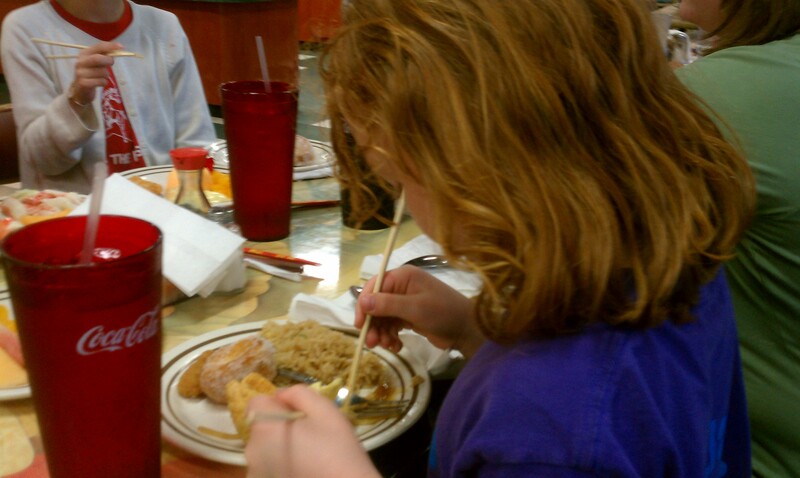 Below is our granddaughter Violet trying to eat with chopsticks for the first time. 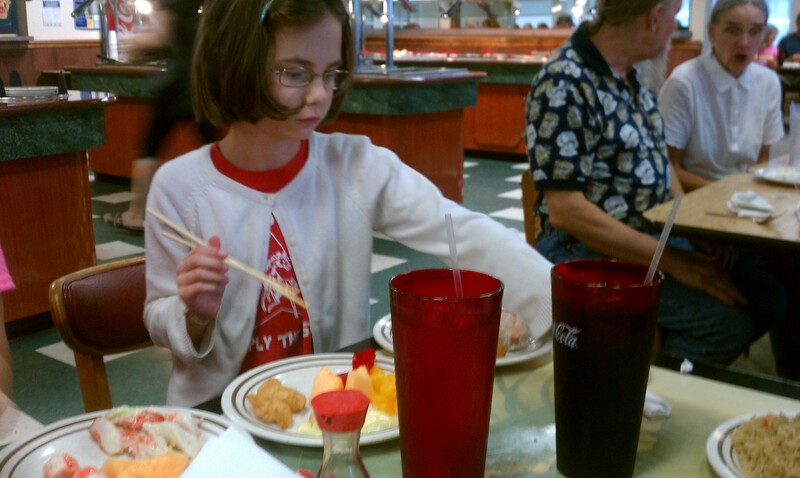 Her sister Annabelle tried the chopsticks too, but preferred using them as drum sticks to play a fast beat on the table. 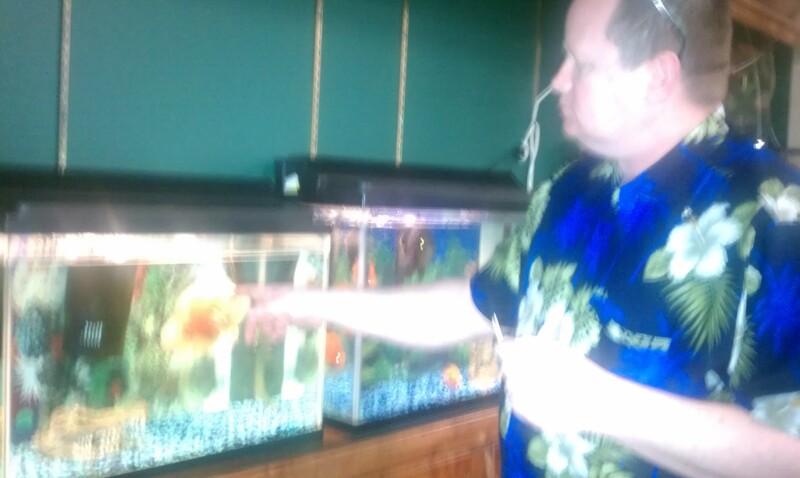 At the restaurant, Ray entertained himself by trying to make a fish in the aquarium turn over with his fingers. He had trained a calico cat we used to have, Sierra, to do this. She would roll over on her side when he would snap his fingers. 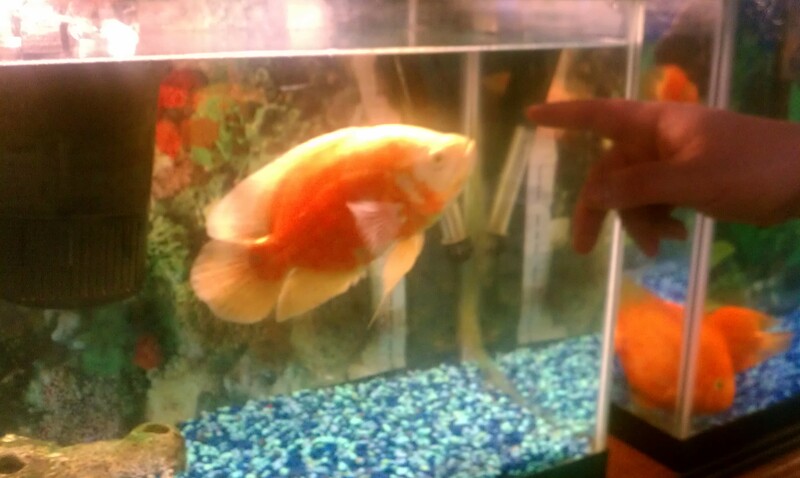 I’m sure the fish was wondering what strange creature Ray’s finger was. I had booked our reservations online to get a discount price for our mini-vacation. 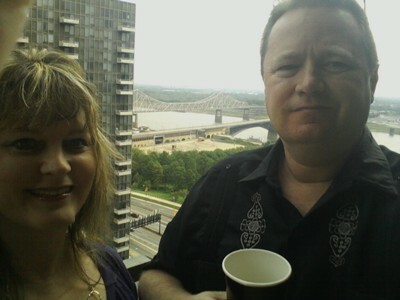 We stayed at the Crowne Plaza Riverfront Hotel At the Arch, which was just a few minutes’ walk from the arch. I highly recommend this hotel for your stay in Saint Louis. 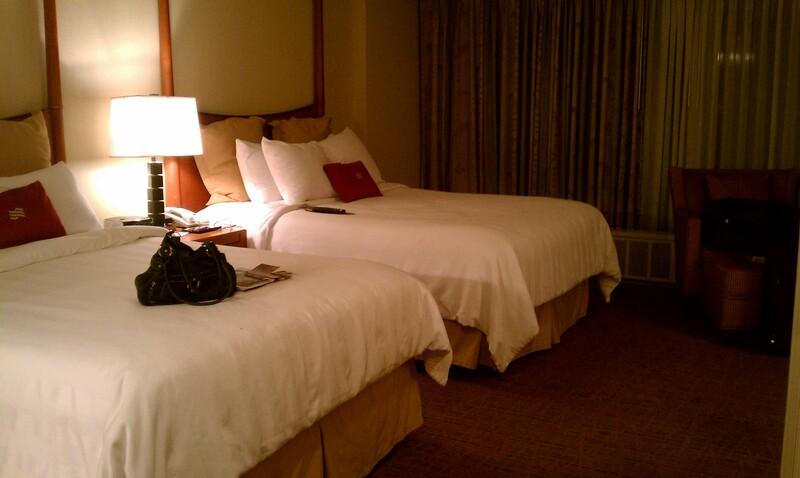 The accommodations were nice. 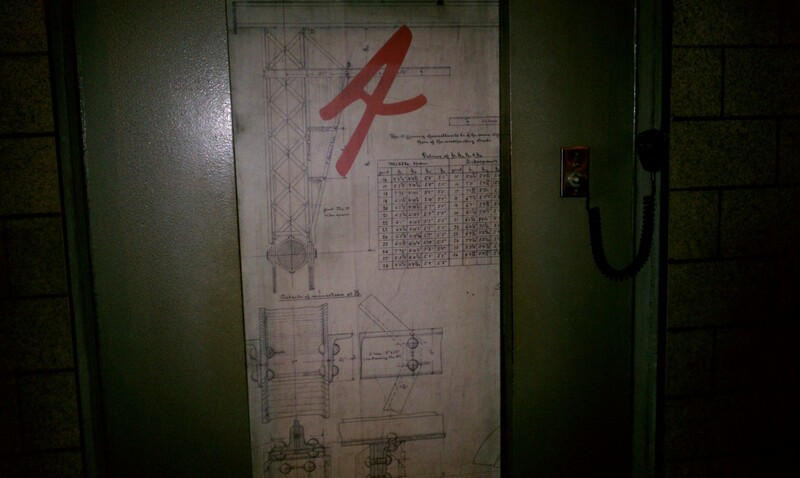 Below is a picture of the hotel room that Heather, Leah, Annabelle, and Violet stayed in. 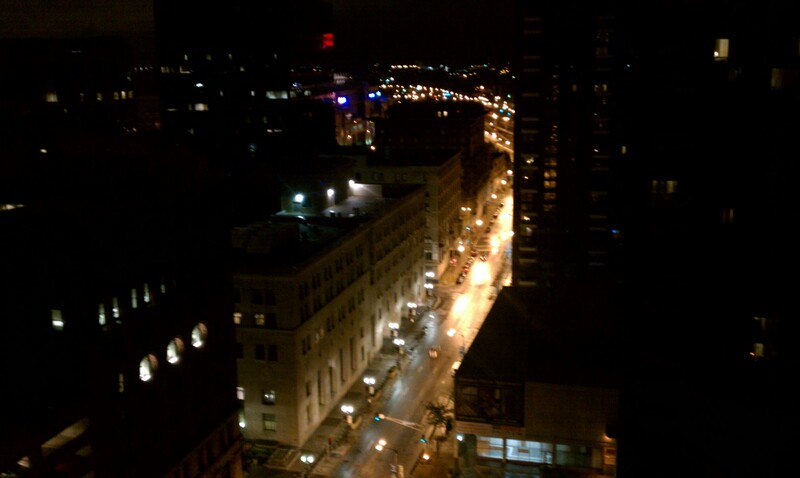 The room Ray and I stayed in had a balcony which gave a beautiful view of the city and of the Mississippi River, especially at night. 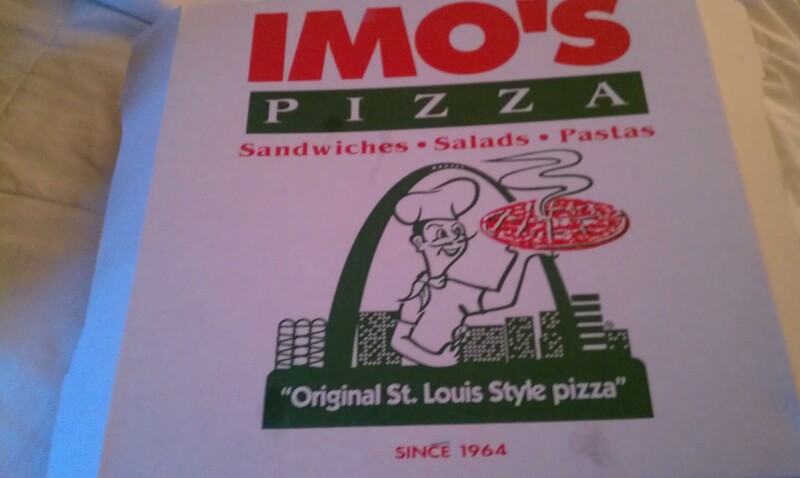 Even though we’d had dinner earlier, Ray was still hungry when we arrived in Saint Louis. 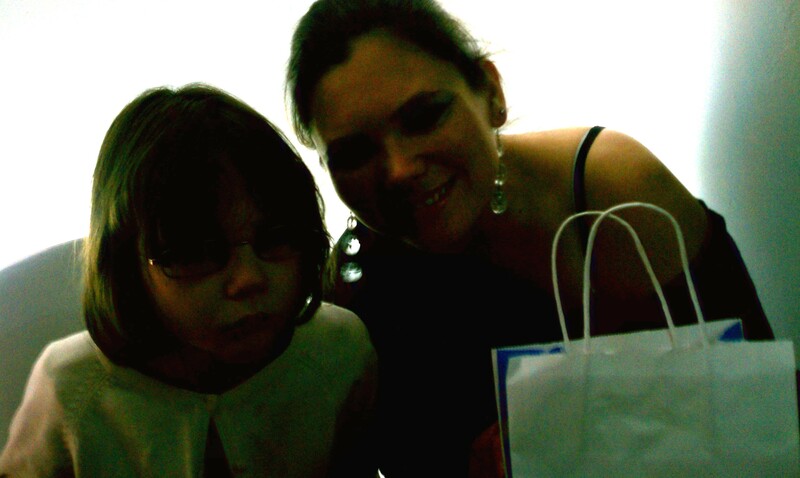 Heather and the girls went to their room to go to sleep. First Ray and I went downstairs to the lobby and had some drinks, talking. The city was alive, unlike the small town of Butler, where we live, which shuts everything down between 6 and 9 p.m. 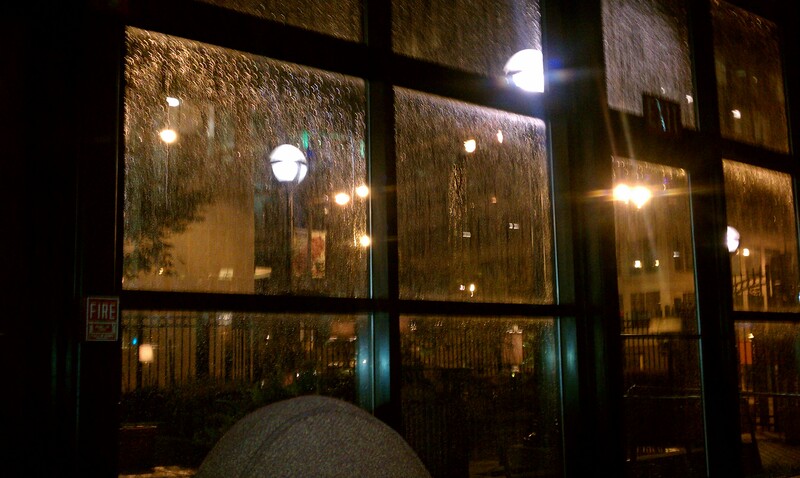 It was raining softly outside and it looked beautiful through the glass patio doors. In the lobby I saw a guy wearing a funny t-shirt. Ray and I talked with him and found out his name was Donivan. 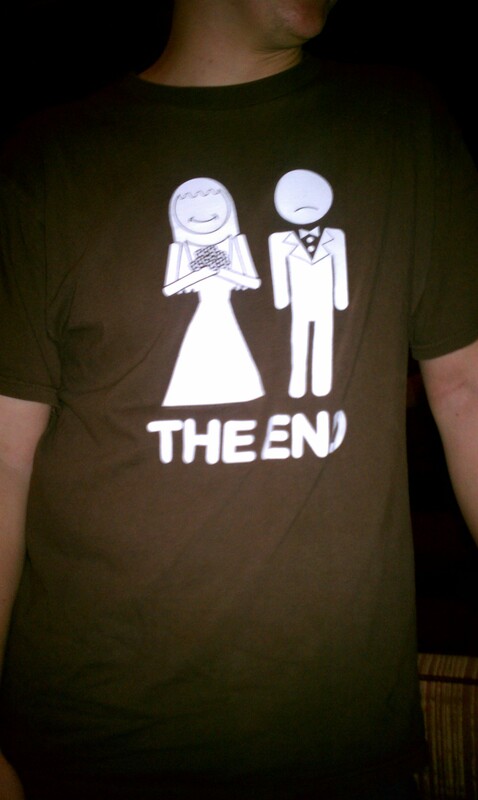 The t-shirt had a picture of a groom and a bride, and underneath it was the caption, “THE END.” He said his cousin had given it to him for his bachelor party prior to his wedding as a joke present. He insisted that he really loved his bride and couldn’t wait to marry her. I had to get a picture of it for my blog. So of course, everyone had to get a picture on the balcony. Leah was excited to use her new Nikon camera that we bought her for her high school graduation. Here is sweet, beautiful Leah on the balcony. 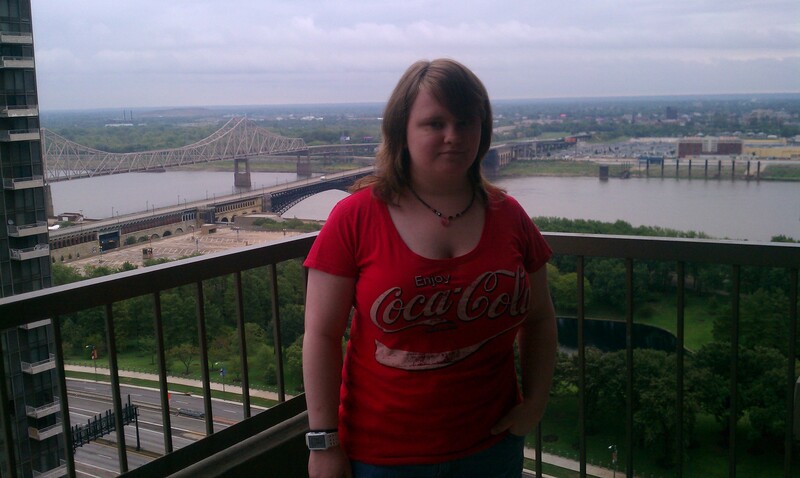 You can see the Mississippi River and the city in the background. 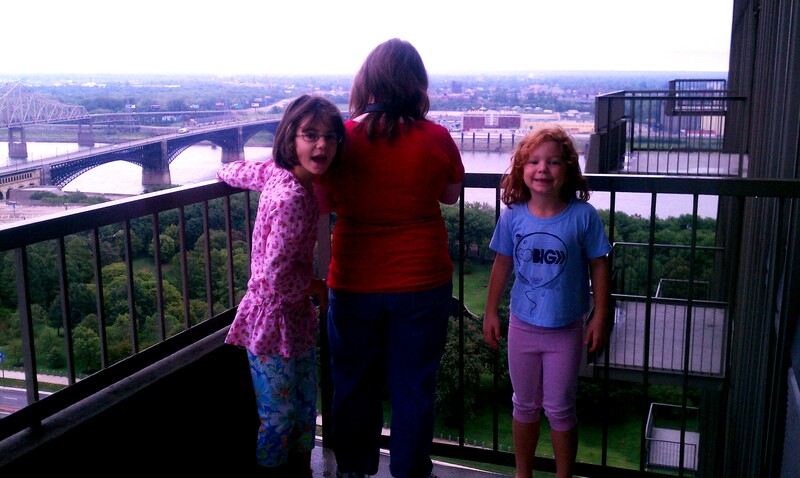 Here is beautiful Heather and her two precious girls, Violet and Annabelle, on the balcony. Ray and I also took our picture on the balcony. This is a rare photo of Ray SMILING in a picture! Ray hates taking pics, because when he was in elementary school, a cruel school photographer told him, “Don’t smile when you take your picture, kid. It looks stupid.” So you will almost never see Ray smiling in pics. I’m glad he’s smiling. He looks GREAT smiling! After we ate the breakfast we’d brought of fresh fruit, blueberry bagels and blueberry cream cheese (the hotel does not provide breakfast, unfortunately), we walked to the arch, just a few minutes’ away. 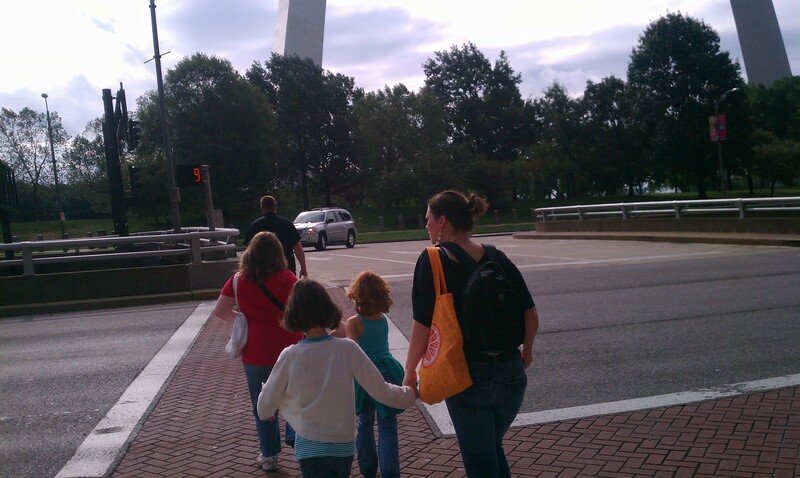 Here is Ray leading us to the arch. Heather previously had warned me that Annabelle was going to freak out when she saw the arch and refuse to go up it (a fear of heights). That is exactly what happened. As soon as Annabelle saw how big and tall the arch was, she immediately began SCREAMING in panic. 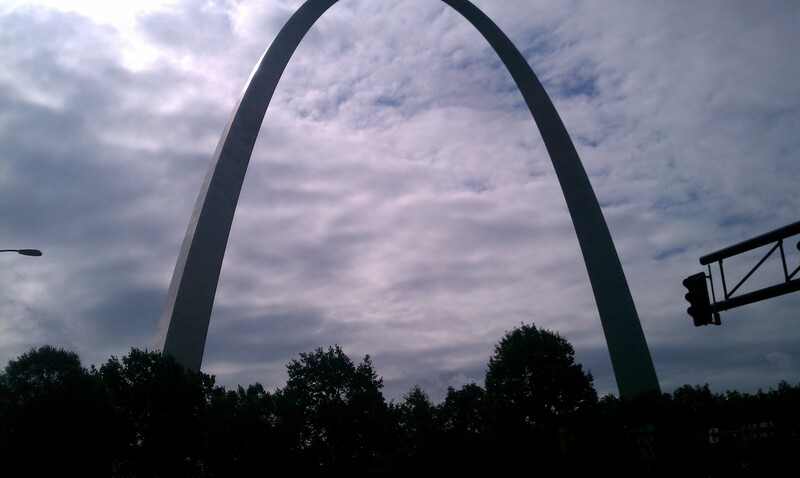 The arch is enormous, standing at 630 feet tall. It is the tallest man-made monument in the U.S. It is called the “Gateway to the West,” built as a monument to the westward expansion of the U.S. Construction began in February 1963 and ended October 1965, costing $13 million U.S. Dollars at the time. We bought tickets for the “Journey to the Top.” There is a limited number of people in each capsule, so we had to split up. Ray suggested I go with Heather to help her with calming down Annabelle who was still scared. Below you see the tiny door to the capsule to the tram that goes up to the top of the arch. It takes about four minutes to go up, and about three minutes to come down. The ride isn’t very fast, but it is a little bumpy. Heather and Leah are both a little scared of heights, but they did great. So did Violet, who is younger than Annabelle. I distracted Annabelle during the ride by giving her mints and talking to her about details of the arch. I am so proud of all of them for going up the arch! It’s a great way to conquer your fear of heights (or claustrophobia as the capsule is small!). 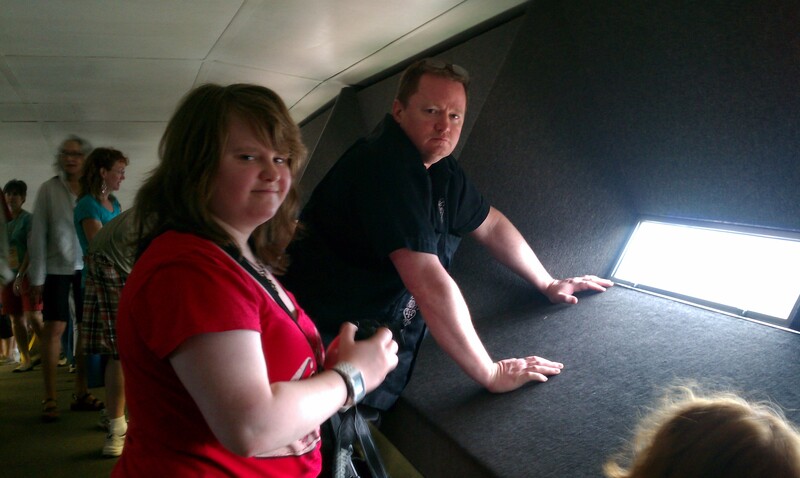 Here are Leah and Ray at the top of the arch! Leah loved it and enjoyed taking pics of the great view with her new camera. 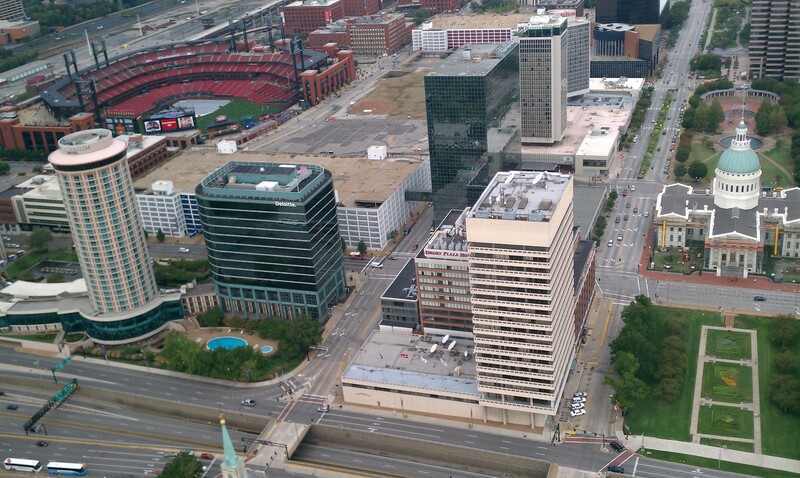 You can see the tiny windows they have at the top for you to look out at the city of Saint Louis. 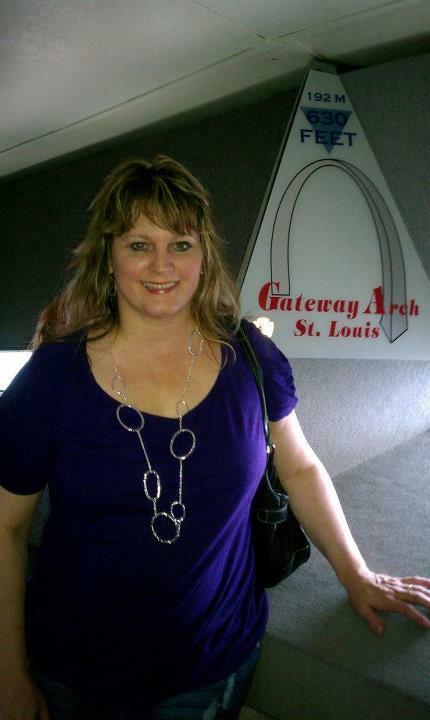 Here I am at the top of the arch. I felt so happy; I love traveling, going new places and doing fun, new things! 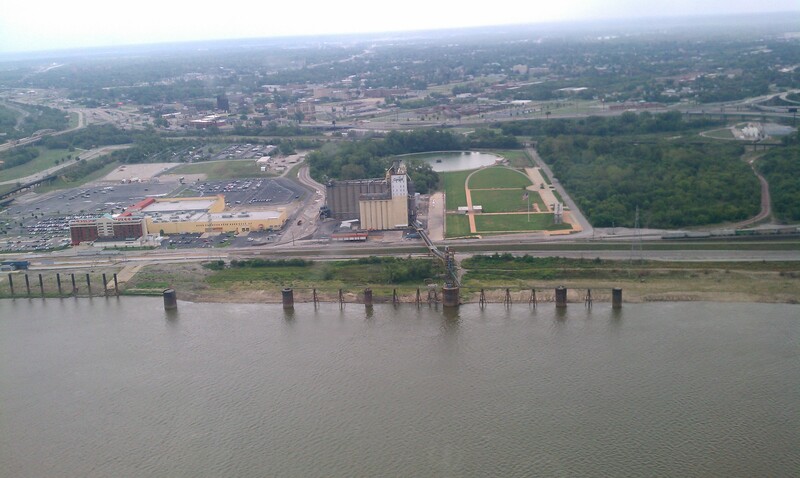 Here is a shot of the Mississippi River from the top of the arch. Pretty cool, huh? 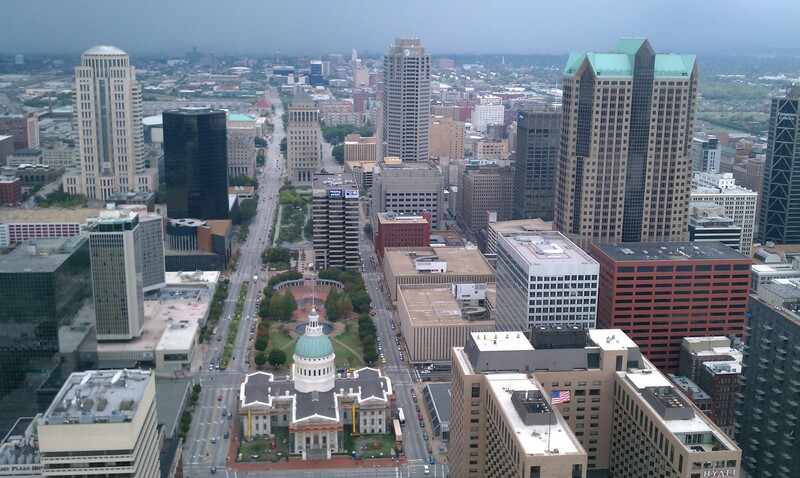 View of the city from top of the arch. You can see the football stadium in the background of this pic. I love the skyscraper buildings! Annabelle and Violet loved the top of the arch! They enjoyed looking out the little windows and seeing the great view of the city. 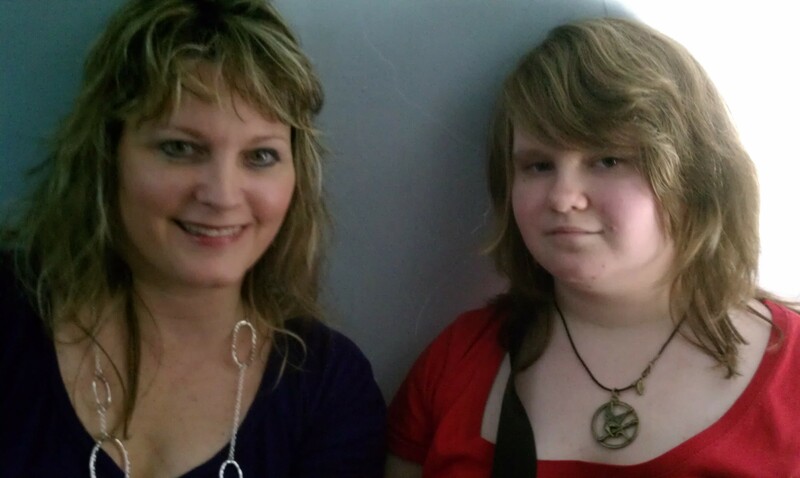 Here are me and Leah when we came down the arch in the tram. After we visited the arch, we went to The Hill, a quaint Italian section in Saint Louis. I loved it here, and could’ve stayed for several hours, walking around. We ate at an Italian restaurant that one of Heather’s friends recommended called Zia’s. 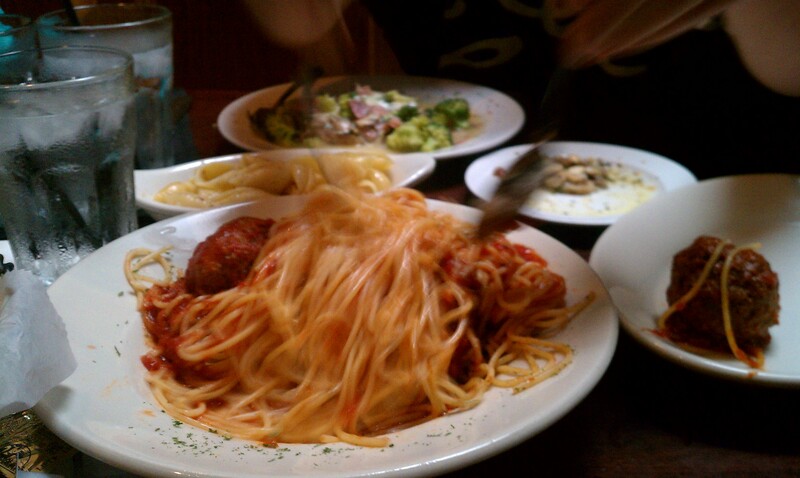 It is the best Italian food I’ve ever eaten. Leah and I had fettucine alfredo, Heather had the special (a pasta dish with chicken), Ray had spaghetti carbonara, and the girls shared spaghetti and meatballs. The restaurant was extremely crowded, but had a nice atmosphere and wonderful service. 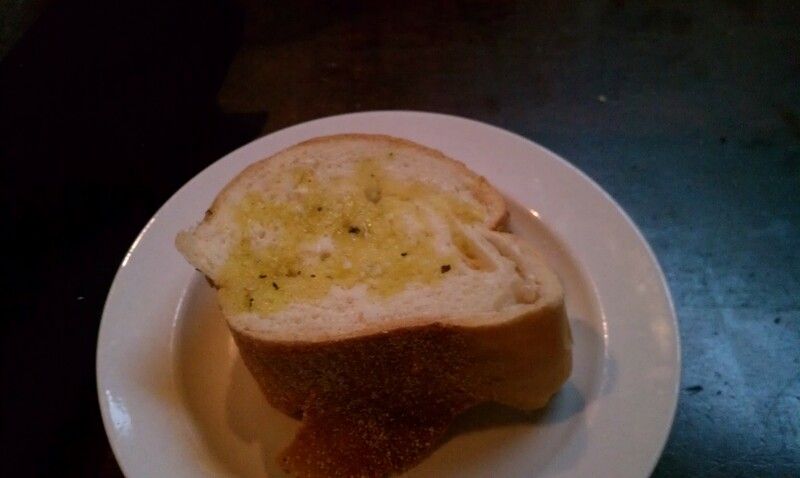 First they served us warm bread, which you can dip in oil and parmesan cheese. 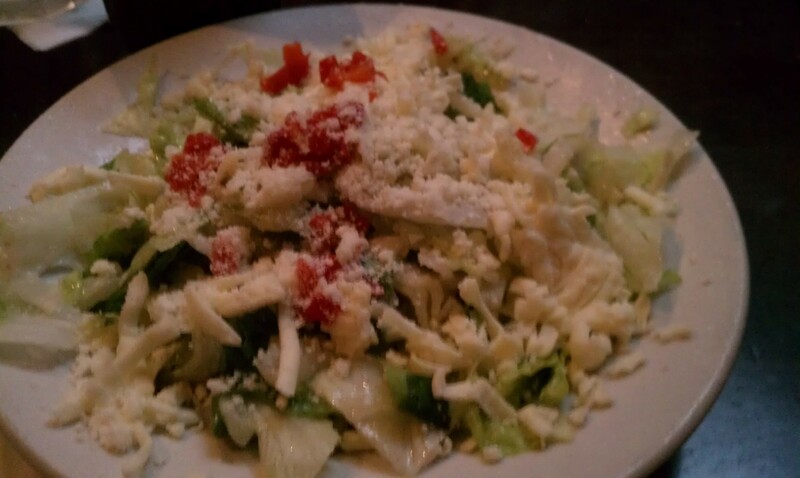 The salad that Ray, Heather and I ordered was a meal in itself! 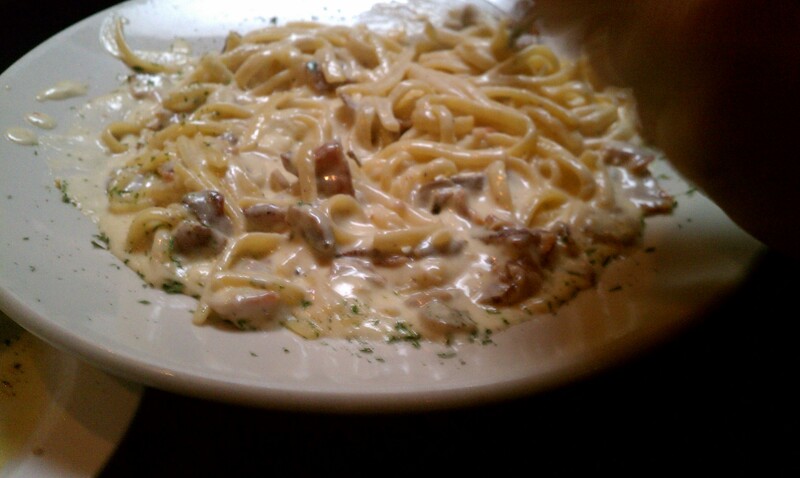 Below is a pic of the delicious fettucine alfredo that Leah and I both ordered. Mmmm, delicious! Annabelle and Violet loved their spaghetti and meatballs! After we ate, the girls wanted to go to the bakery and get a “snack.” There are several in the area, but this particular one was very crowded. They had everything from doughnuts and cakes to baklava. Now we needed to decide what to do, that was either free or reasonably priced! 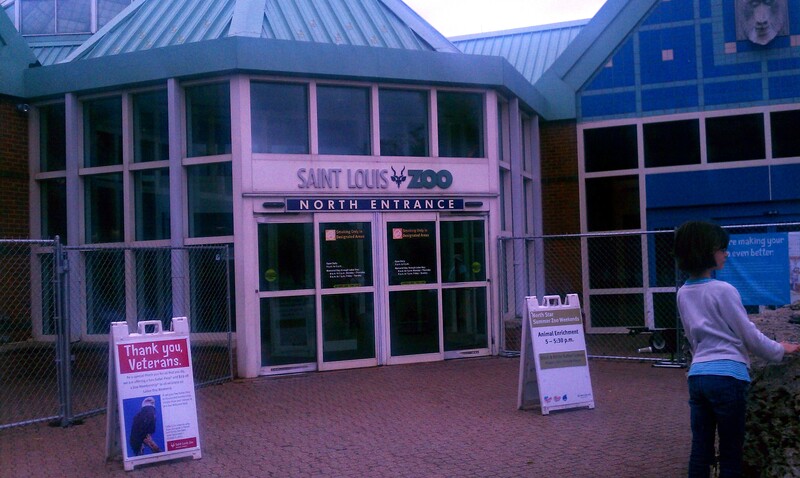 We opted to go to the Saint Louis zoo. It is free, but they do charge for special exhibits like feeding and touching the stingrays. They have huge rocks at the entrance, that Annabelle and Violet loved climbing on. 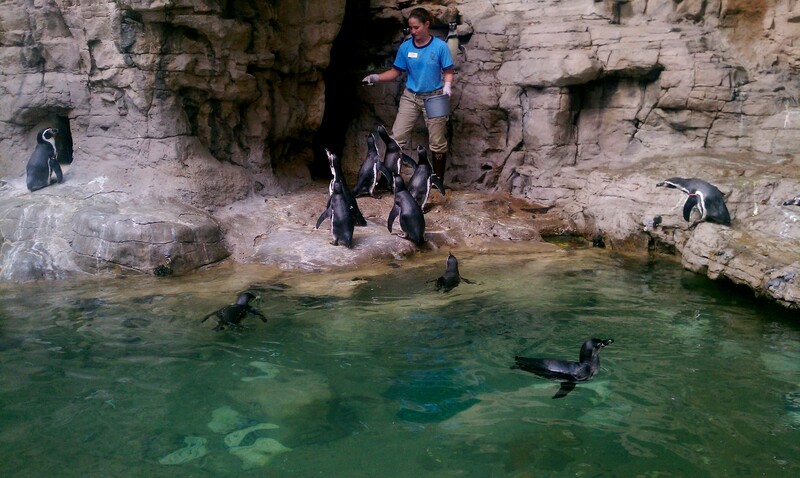 Here is one of the staff members feeding the penguins. 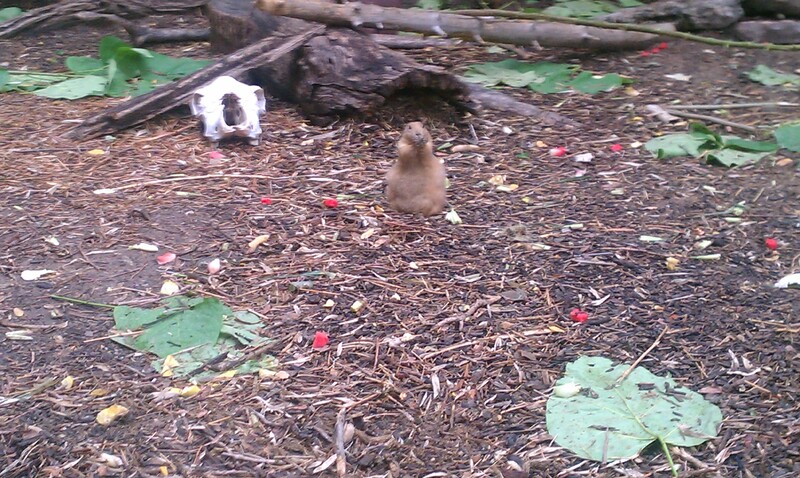 Here was one of the cute prairie dogs. Leah really liked these. 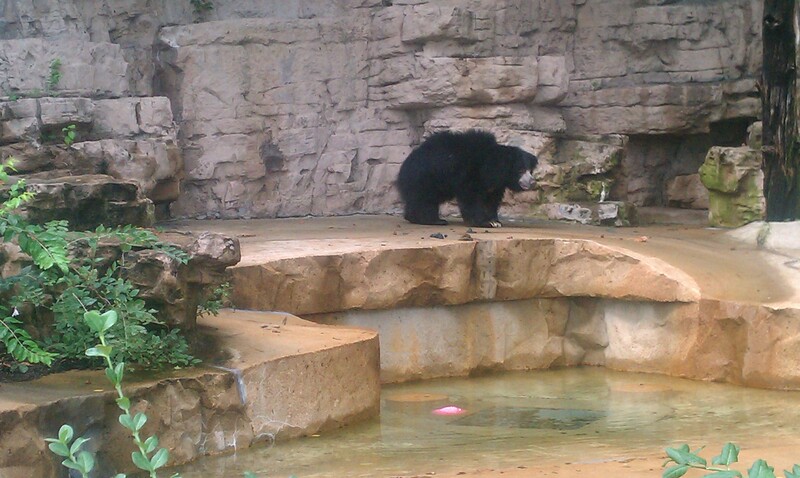 This was a strange looking creature called a sloth bear, with very long, front claws. Overall, it was a FUN family trip. 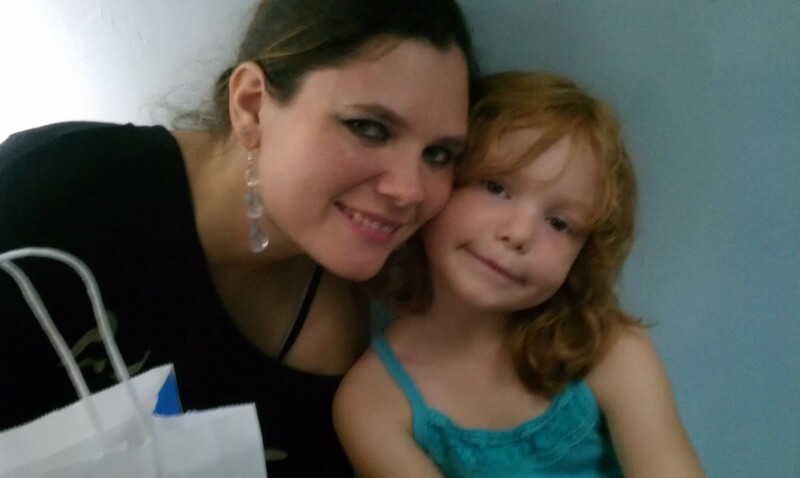 Heather felt loved and blessed for hers and Annabelle’s birthdays. God provided all we needed for this trip, and we had a great time. I’m so thankful God provided for us to go. What has been one of your favorite family trips? Share in the comments below.